Possibility to spend the night at Ho Chi Minh airport (SGN), if open 24 hours. Services available, places to rest (free resting zones), or look for the list of nearby hotels and vip lounges..
Ho Chi Minh airport has been renovated recently and it is frequent to find many passengers waiting for their flight departure during the night. Where to rest: The first floor of Terminal 2 is a quiet place, but there are not many seats, while on level 3 there is more seating, but also more noise. On the second floor, on the other hand, you will find some resting areas with comfortable benches, and you can also make use of the benches of some of the eateries. In both terminals there are VIP lounges, although they close at night. 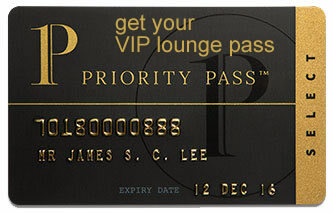 SEE VIP LOUNGES There are no hotels inside the grounds, but some accommodations provide shuttle services. Baggage: In Terminal 2 there is a left luggage service, but it only operates from 7:00 am to 11:00 pm. Eating and drinking: Food stores inside the terminals close around the hours of the last flight. Restrooms: Free showers in the boarding area of Terminal 2. Wi-Fi: Free and unlimited service. There are no hotels inside the grounds, but you can find several options nearby, especially in the city centre. Some accommodations provide transportation from the airport. Golden View Hotel (Tel +84 283 547 4499), Iris Hotel (Tel +84 283 948 3988), Sunflowers Hotel (Tel +84 283 848 5587), Parkroyal Saigon Hotel (Tel +84 283 842 1111), Bao Minh Hotel (Tel +84 286 296 8432), Mi Linh Hotel (Tel +84 938 151 610), Ibis Saigon Airport (Tel +84 283 848 5556), Doha Hotel (Tel +84 963 019 797), Erato Boutique Hotel (Tel +84 286 296 8568), Saigon Airport Hotel (Tel +84 283 547 2345).